I have spent the last few days redoing my laundry room! I will feature it after Christmas. A few simple, inexpensive changes have made a world of difference. 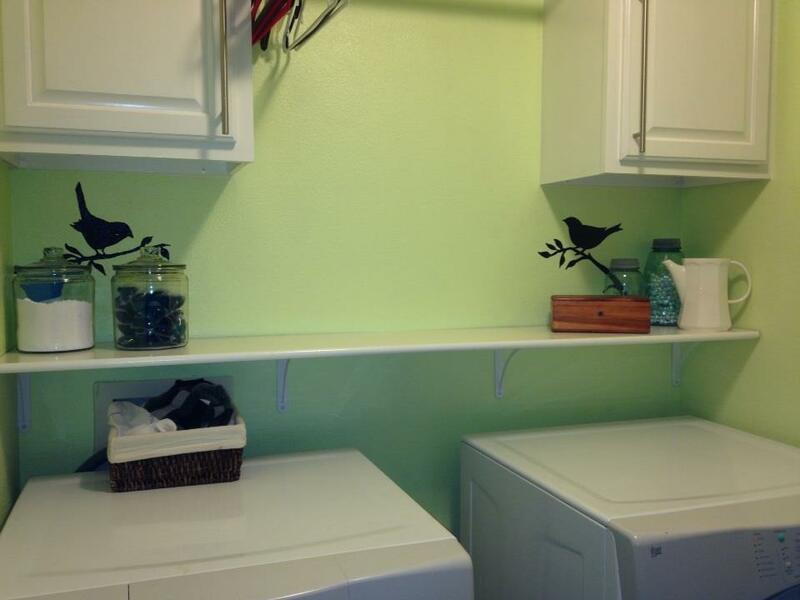 But I have to share my "laundry birdies!" I featured my obsession with wall murals here...one of the easiest and least expensive ways to add a little "wow" to any wall or room! I'm not quite done with the laundry room so I don't want to feature it just yet. But I did want to share the little bird murals because this is a simple project that can easily be done during these cold winter days when you are cooped up with nothing to do!